Originally posted at Mon 02-11-2009 19:01:48, in the nerd stuff category. 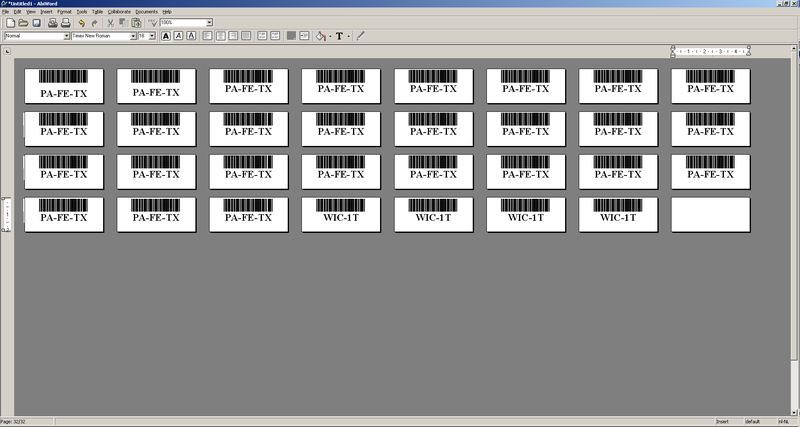 Lately I've been working on a project that requires mini labels (+/- 50x20mm) to be printed with barcodes. 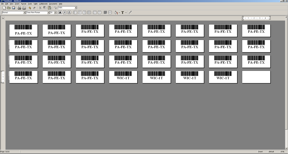 I'm using Abiword to generate mini pages and export them to a PDF file. Turns out, Abiword is able to handle them perfectly fine! Check out the screenshot below. Click the image for a bigger version.